It’s that time of the year again where you don’t know what to get for your friends and loved ones. Let me help you out with some gift ideas that wont break the bank and easy to introduce to newer board gamers. You’re a traveler, traveling from Edo (Tokyo) to Kyoto. How many mental pictures will you take of the beautiful scenery? How many other travelers and peddlers will you meet? How many hot springs will soak your tired body? 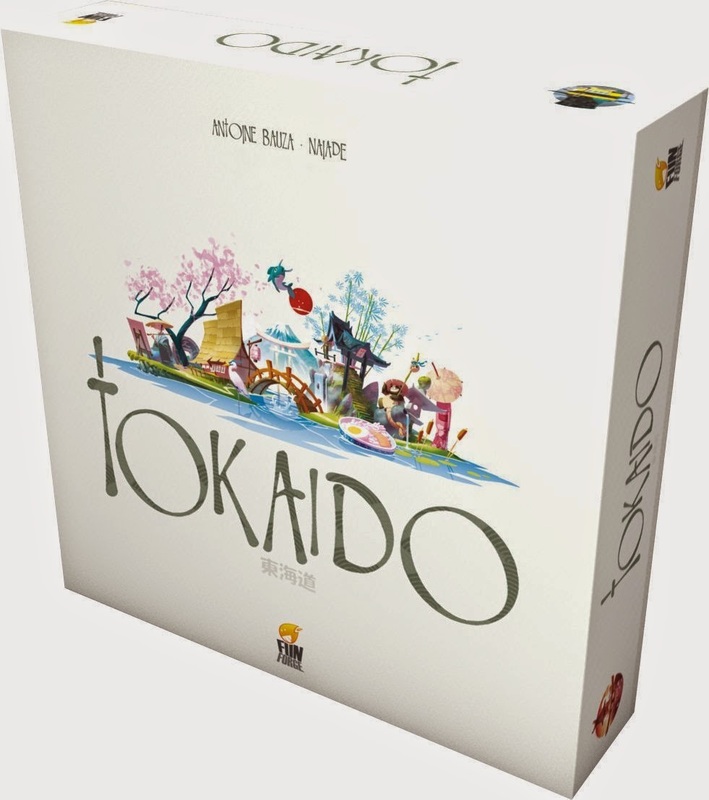 Tokaido is a simple game of enjoying life as you travel through the board. You win the game by earning the most points and enjoying all the activities life gives you while traveling earn you points. Tokaido is one of the best games to introduce someone to the newer style of board games and should be part of your collection. The board is beautiful and the color that strikes out of this game is stunning. The simplicity of the game is what strikes me, which proofs that you don’t need a complicated mechanic to enjoy a game with your friends. 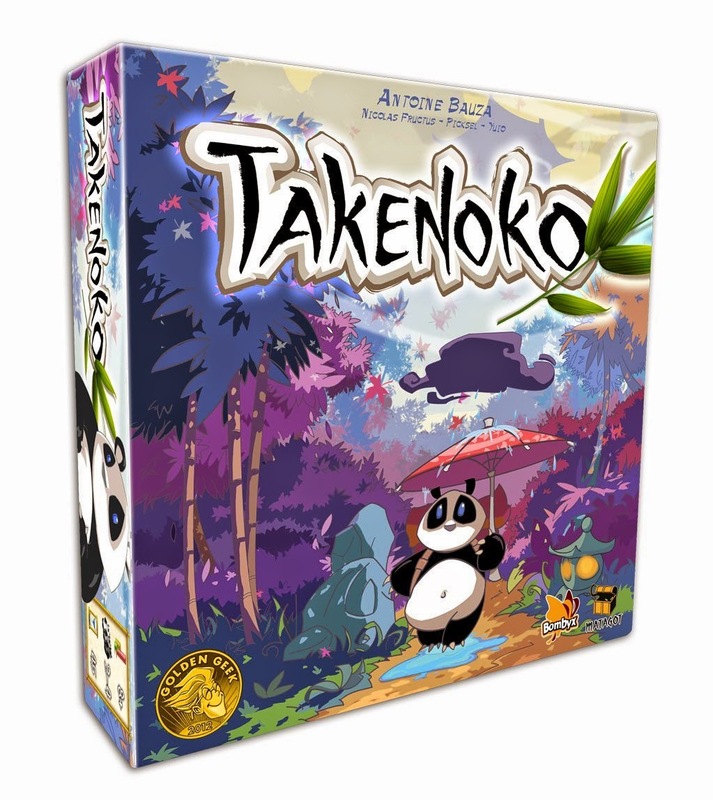 Takenoko takes you back in time as you become one of the gardeners for the Emperor who just received gifts from China. Your job is to maintain his Bamboo garden and baby sits the pet Panda. Yes! This game has a tiny little panda piece that moves around the board. As the gardener, you would have “mission” cards that earn you points when you finish them up. The missions are simple: expand the garden, grow more bamboo, or feed the Panda. Gardener with the most points wins. 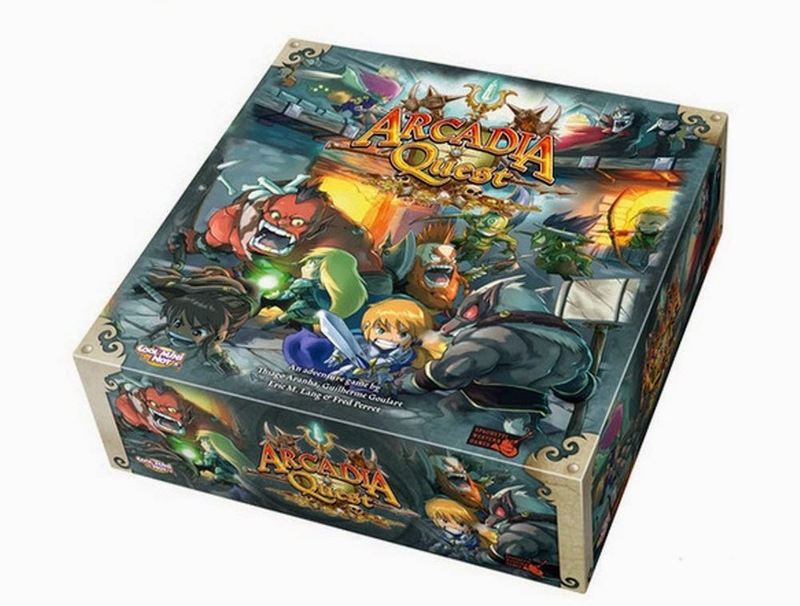 Arcadia Quest puts you up against 3 other players controlling 3 Heroes each fulfilling quests to save Arcadia from Lord Fang. Simple activation mechanics with enough chaos on the board to keep you entertained for weeks! The campaign system is where the game shines and if you pledged on their Kickstarter, there are more than 30 Heroes you can pick from (each with their own abilities). Your Heroes get to keep the loot they find but also the death curses they acquire from dying. The miniatures look stunning as CoolMiniorNot have ramped up their design team to make sure that Arcadia Quest is on par or even better than some of the other chibi-style miniature board games out there. Arcadia Quest is probably the only game that both the wife and I enjoy playing because we’re competing against each other as we try to out-loot each other. I absolutely love painting the miniatures and cannot wait until we get our hands on the Beyond the Grave expansion. Want to see what happens when Ninja Robots go up against Zombie Pirates? As the name implies, Smash Up is a card game that mix-and-matches different genres together and pit them in a 4 player (sometimes we played with 5, but no more than 5 as it gets crowded) battle royale. Each player chooses 2 themed decks of 20 cards and smash them up together to form a 40-cards deck. There are 2 different card types: Minions and Actions. Each player can play 1 action and 1 minion during their turn but there are cards that give them abilities to play extra minions/actions. Using those minions/actions, each player tries to break Bases to earn points. Player who earns 15 points first wins the game. This game is my wife’s absolute favorite! After playing this for a while, you would already have a preference of combos and decks to suit your play style. But with new expansions coming out twice a year, you’d be sure to play this over and over! 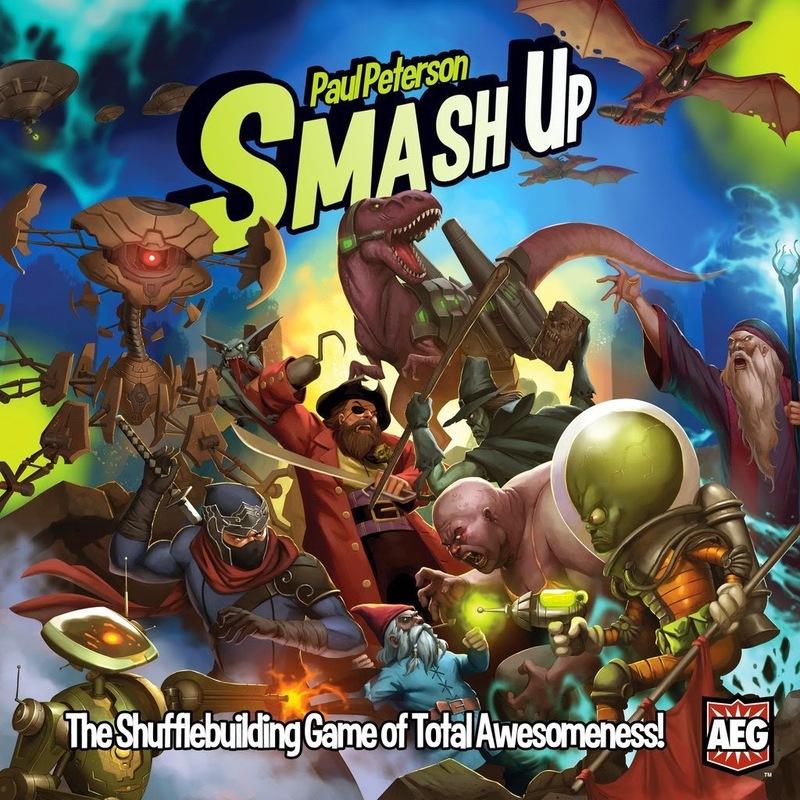 Smash Up is also a good introduction game to those who are new to card mechanics. 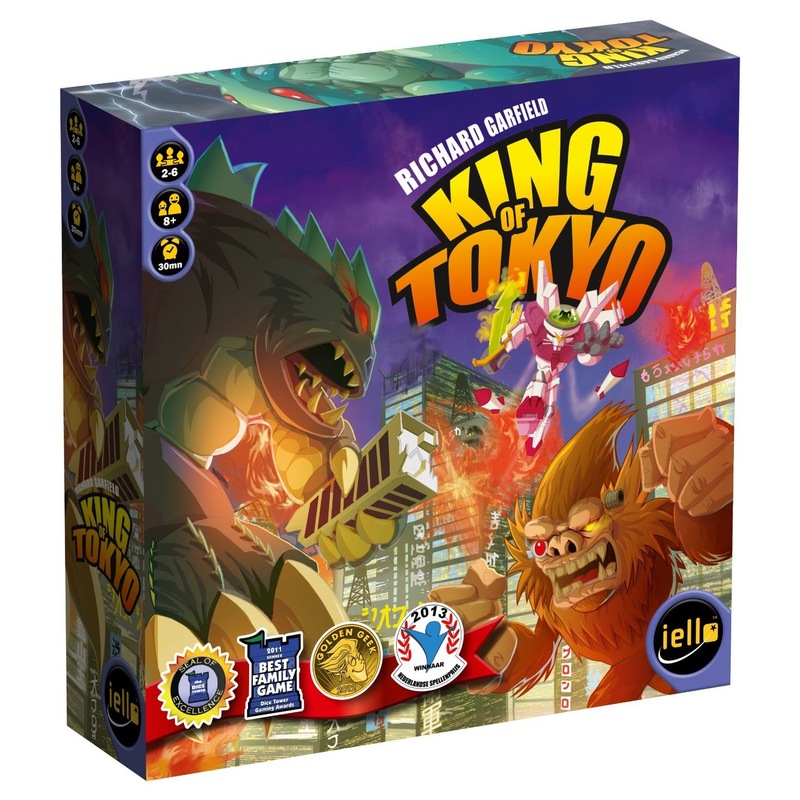 Giant Monsters and Mecha Robots battle over the city to see who deserves the title King of Tokyo! Simple dice pool mechanics with awesome graphics of the monsters to boot, King of Tokyo has been a favorite of mine for a while now. Players roll a pool of dice (they get 2 rerolls) and pick whatever combinations that serves them best for that turn. They can buy Powers with the energy cubes they collected or attack other monsters. The last monster standing or the one that acquire 20 victory points is the new King of Tokyo. As you probably have noticed, I tend to veer towards simple games than can be played under 1 hour and can easily be taught to new players. These games practically started my new gaming group and all of them are addicted to board games now. I wish you guys a safe and warm Holiday Season and keep on gaming!